I was gifted these gorgeous myrtle topiaries for mothers day and they are the perfect touch of green for the space! Next I picked up just a few finishing touches for the shelves. I actually found the blue bottle, bone inlay black and white tray and decorative brush (can't remember the name of these off the top of my head) from Tuesday Morning. I love the graphic pop the tray adds and it's so fun mixing in the deep blues. In this little corner, I picked up the gold side table at Ross for a steal. I had really wanted a gold table with a marble top, but was having trouble finding the right thing, and this one was such a good deal I couldn't pass it up. I also swapped the lamp shade for a black one from the guest room. I am the worst about "shopping the house" because once I find something to go in a spot...that is its spot! : ) But I think the black shade is just what this corner needed to anchor the space. Then a few days ago our new rug arrived. I liked the one we had in here previously but I felt the size was too small and it was also a bit dark. 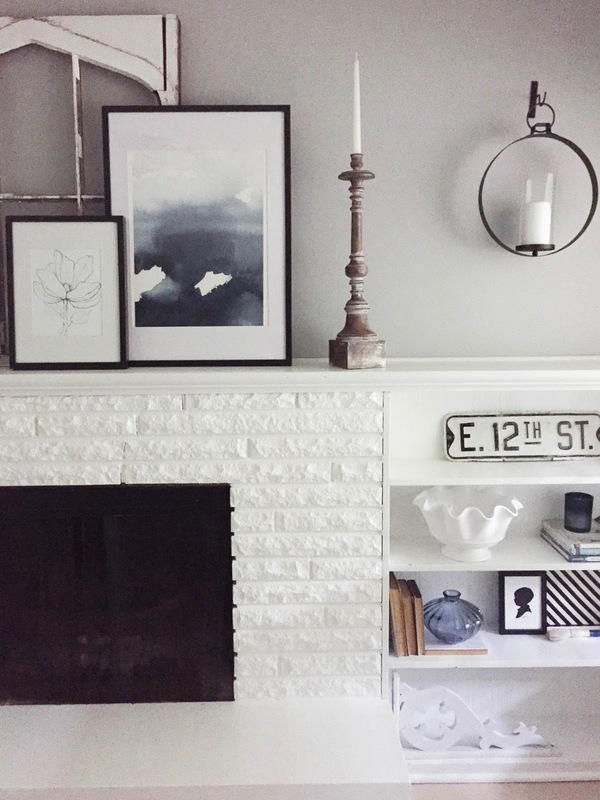 This 8x10 from Overstock was such a good price I couldn't pass it up, and the herringbone pattern feels modern yet timeless...which is sort of the theme of the room right now! 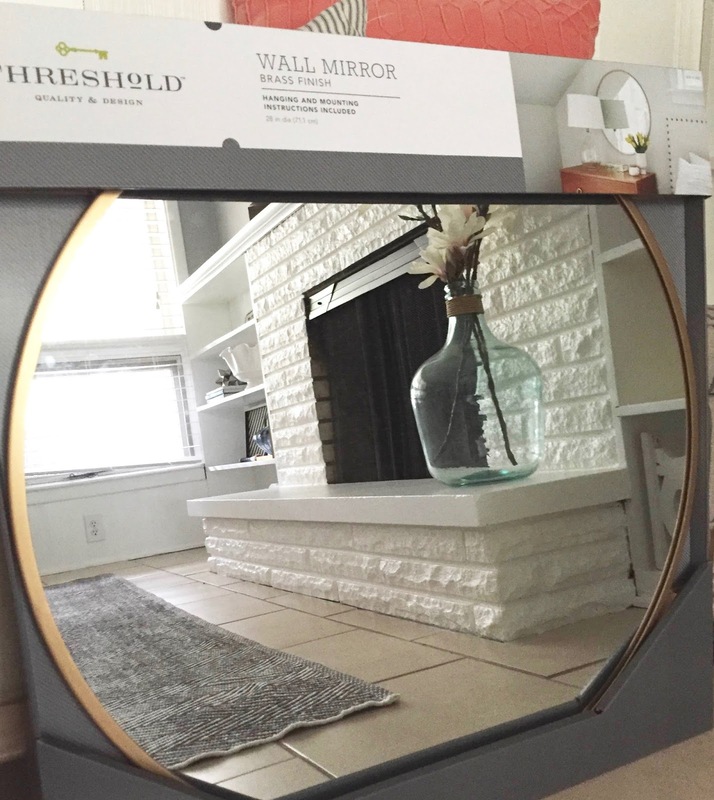 I also purchased this round mirror from Target which I am in love with but just wasn't quite right in the room. I am desperately searching for a place in the house for it because it is so gorgeous and was a steal!